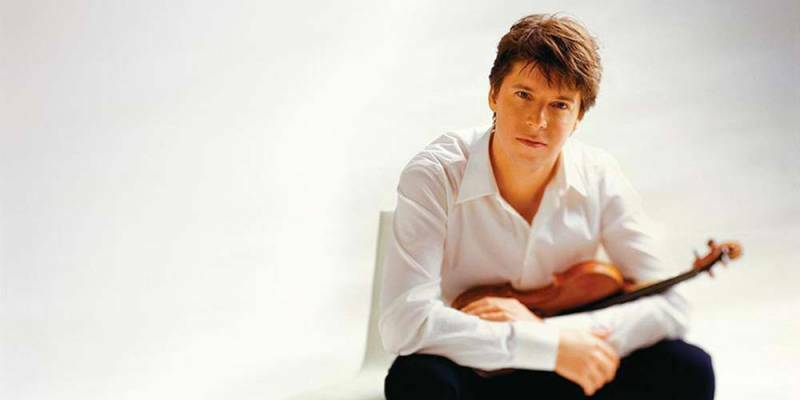 Anyone who witnessed Joshua Bell’s last visit to Nottingham won’t easily have forgotten his revelatory Beethoven performance whilst leading the Academy of St Martin in the Fields from a piano stool. This time we’ll be hearing Beethoven’s Second Symphony, whose buoyant mood wouldn’t necessarily have been expected given that the composer would only just have learned that his encroaching deafness was incurable. Making great play with sharp dynamic contrasts and rhythmic high jinks it chortles with bluff humour. Vivaldi’s Four Seasons are some of the earliest pieces of programme music, inspired as they were by the landscape paintings of Italian artist, Marco Ricci. Vividly evocative, they’ve lost none of their popularity since Vivaldi composed them between 1720 and 1723, so much so that they’ve featured in at least a hundred films and television shows. Before Joshua unleashes his violin on them, there’s the chance to hear a new work by one of his regular collaborators. Virtuoso American double-bassist, Edgar Meyer, is also an acclaimed composer who’s won five Grammy Awards writing commissions for several stellar artists including Yo Yo Ma, Emmanuel Ax and the Emerson String Quartet. Listen to Joshua Bell and Edgar Meyer in a podcast about Meyer’s new work: Overture for Violin and Orchestra, including excerpts from the premiere. Please note: multibuy discounts do not apply to this concert. Season ticket holders (12 concerts) are still able to claim their 30% discount. Save 20% off full price tickets, excluding £10 & £8 seats. Please contact our Group Sales team on 0115 721 0622 to book. Save 30% off full price tickets, excluding £10 & £8 seats. Please contact our Group Sales team on 0115 721 0622 to book. (max 2 adults) £65 for up to 4 people, additional children £5 each. Please contact the Box Office on 0115 989 5555 to book. Please note that under sixes are not admitted to Nottingham Classics concerts but they are welcome at our Beanbag Music Club concerts – call 0115 989 5555 for details.